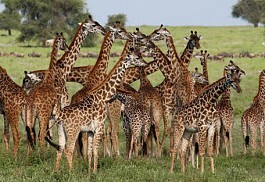 Serengeti National Park symbolises the classic African safari. With more than 2 million wildebeest, half a million Thomson's gazelle, and a quarter of a million zebra, it has the greatest concentration of plains game in Africa. The name 'Serengeti' comes from the Maasai language and means an 'extended place'. The National Park alone covers an area of 13 000 sq km. 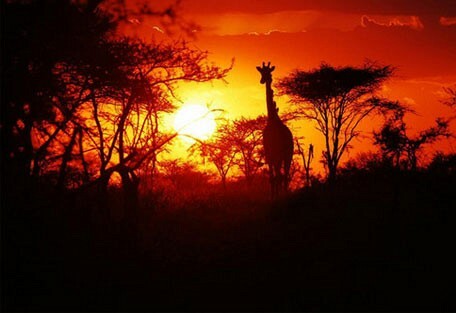 The Serengeti ecosystem, which includes the Ngorongoro Conservation Area, the Grumeti Reserve, the Maswa Game Reserve, the Masai Mara Game reserve (in Kenya) and numerous concession areas, is roughly the size of Sicily. 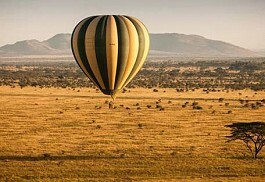 It lies between the shores of Lake Victoria in the west, Lake Eyasi in the south, and the Great Rift Valley to the east. Serengeti National Park is one of the best-known wildlife sanctuaries in the world, and symbolises the classic African safari. With more than 2 million wildebeest, half a million Thomson's gazelle, and a quarter of a million zebra, it has the greatest concentration of plains game in Africa. 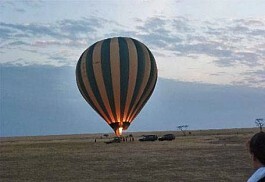 The Serengeti is also synonymous with the wildebeest and zebra migration that encompasses a vast area of both the Serengeti and the neighbouring Masai Mara National Park. 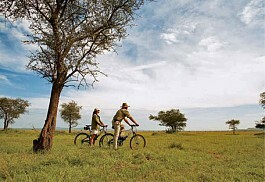 The Serengeti is in the top 3 safari destinations in Africa, arguably the best of them all. Its sure scale, lack of infrastructure, diverse landscape and wide open savannah make it the quintessential safari destination. 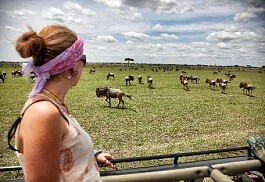 It is the home of the Great Wildebeest Migration for 9 months of the year. The migration moves around the Serengeti and it is important to understand where they are likely to be when you plan your visit. See our detailed description of the Great Annual Migration to get an understanding of the wildebeest migration. 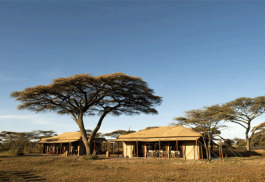 Compared with other reserves of its size, the Serengeti has very few lodges, camps, hotels, migration camps, etc. This makes it extra special for those that can afford it as you are unlikely to bump into masses of other visitors. One of the best-kept secrets in Africa, Sayari Camp is tucked away in a remote region of the northern Serengeti, perfectly positioned to witness the great migration crossing the Mara River between July and October. 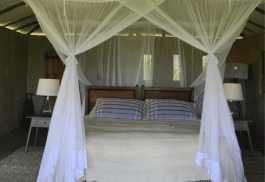 Sabora Tented Camp is a premier tented camp in the private Grumeti Reserve, ideal for the migration between May and June. 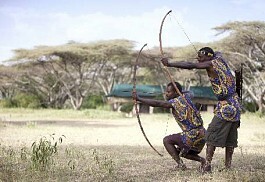 The camp is located in the open savannah plains of the Grumeti. 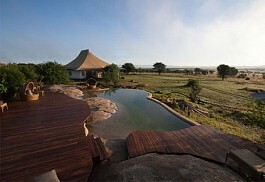 An exclusive lodge in the private Grumeti Reserve in the western Serengeti. 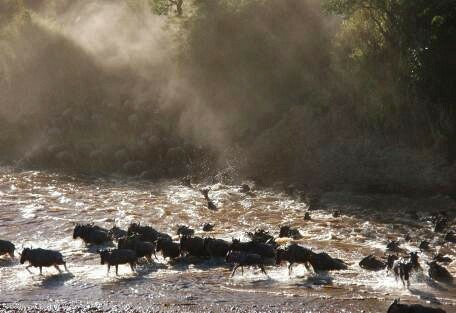 The migration passes through the Grumeti Reserve between May and June. 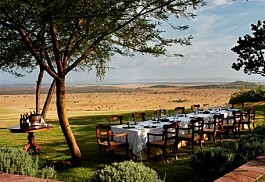 The wildlife is good year-round and so the experience is shear and unadulterated opulence in the Serengeti. 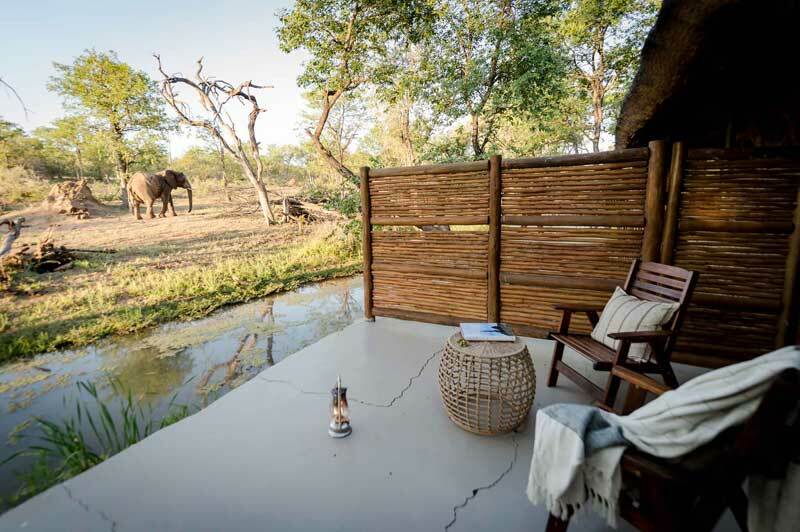 Situated on a slope overlooking the Grumeti River, basking in the abundance of animal species and birdlife around it, Singita Faru Faru Lodge lends a contemporary signature style to safari. 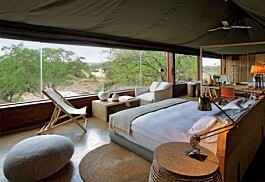 Singita Mara River Tented Camp has opened in the Lamai triangle, the northernmost tip of the Serengeti National Park in Tanzania. 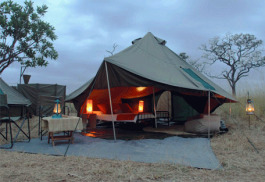 It has just six tents spread along the banks of the river, all very well equipped. 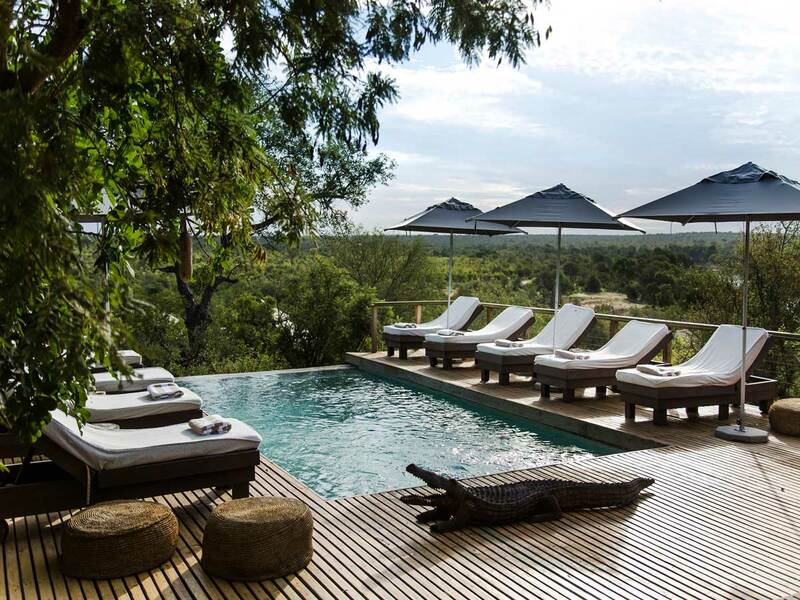 Situated on the western corridor of the world famous Serengeti National Park, Singita Serengeti House offers guests exclusive-use accommodation and access to 350,000 acres of private land, providing an unparalleled safari experience. 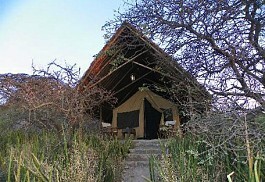 Klein's Camp is located in the northern Serengeti, ideal for the migration between July and November. 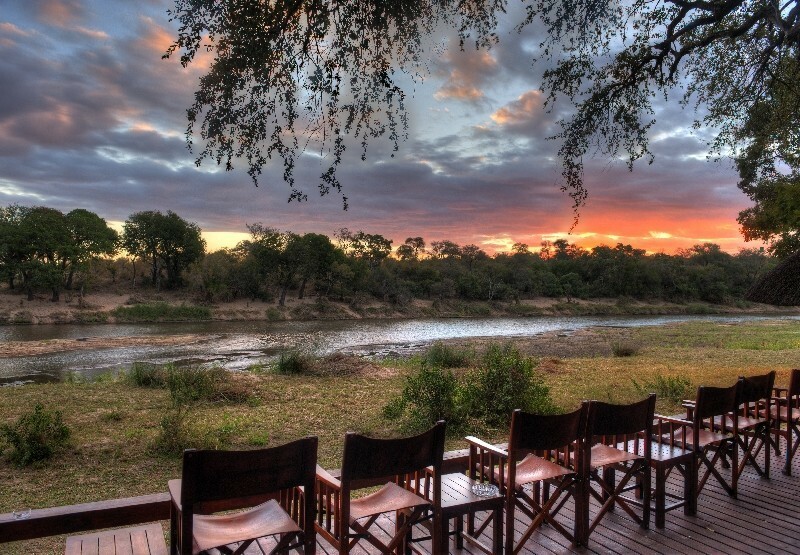 Klein’s Camp overlooks the incredible wooded hillsides, rolling grasslands, marshes and forested river banks which surrounds it. Carefully planned to bring guests as close as possible to the magnificent spectacle of the Great Migration, Serengeti Under Canvas is situated at a variety of private campsites throughout the National Park, moving according to the path of the migratory herds. Hidden among the rocky outcrops Serengeti Migration Camp is located in the northern Serengeti, at the starting point of the Migration. The best time to visit the camp is between July and November, in order to witness the Migration. Located in the Southern Serengeti (within the Moru Kopjes area), Serengeti Pioneer Camp is ideally situated to offer superlative access to the annual migration and the ‘Big 5’ with sweeping views overlooking Moru Kopjes, Lake Magadi and the endless plains. Situated within the Serengeti National Park, Serengeti Safari Camp moves around within the park in order for you to get as close as possible to the Wildebeest migration. Serengeti Bushtops is located in the north west of the Serengeti National Park, with twelve most impressive tents, each facing the sunset giving guests an extraordinary panoramic view of nature’s living masterpiece. Serian Serengeti North camp is a seasonal camp set in the far north of the Serengeti, in an ideal location for viewing the wildebeest migration between June and October. This luxurious tented camp enables guests to be within reach of the Great Migration and to explore remote, beautiful corners of the Serengeti with excellent resident game. Dunia Camp offers superb game viewing all year round in two of the Serengeti’s prime areas, the southern plains and the central Serengeti Valley. 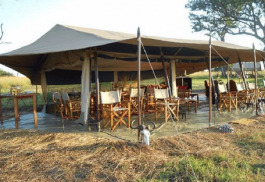 After a day of game viewing, the strategic location of the camp provides a private and peaceful base. 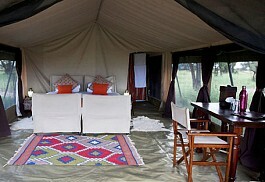 Olakira Camp is a seasonal mobile tented camp following the migration in the southern and central Serengeti. 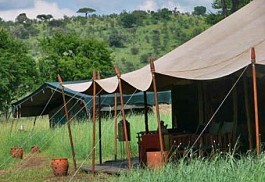 the camp is situated very close to the Mara River overlooking a crossing point regularly used by the Great Migration. 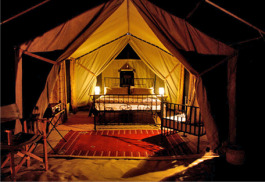 The camp is an intimate, traditional canvas safari camp designed to give you an authentic Serengeti safari. A close-knit team of Tanzanians ensure that hospitality and a wonderfully relaxed environment remain the essence of Ubuntu Camp. Perfectly set in the remote southern part of the Serengeti, Sanctuary Kusini's location was specially selected after much research by our guides and the local experts. It overlooks the plains where game are a common sight all year round. Nomad Lamai Camp sits tucked amongst the rocks of Kogakuria Kopje with panoramic views of the surrounding landscape, just a few miles from where the wildebeest cross the Mara River. Located in the best game viewing area of the Northern Serengeti, this elegant tented camp is located near Euclea trees in a remote area. 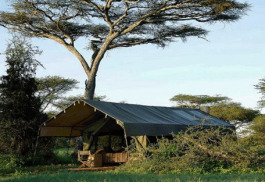 The camp offers 8 luxury tents and is reknowned for the annual Great Migration. Lamai Serengeti is subtly nestled amongst the rocks of Kogakuria Kopje, producing panoramic views of the surrounding Serengeti landscape. 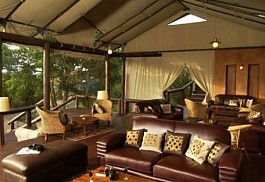 A small, intimate safari lodge located in the Northern Serengeti, perfectly positioned for the migration. 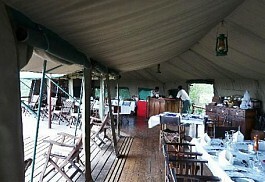 Lemala Ndutu offers large tents as well as a large dining and lounge area. 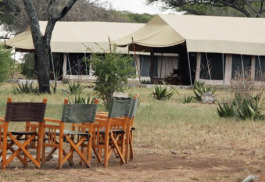 The camp consists of 5 star hotel quality mattresses, wooden floors, 24 hour lighting and en-suite bathrooms with flush toilets, running water and hot showers. 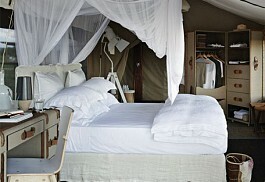 Masek Under Canvas located in the shores of Lake Masek, in Ndutu, situated between the plains of the Serengeti National Park and the northwest side of the Ngorongoro Conservation Area. The camp has 10 rooms in total which includes king size or double beds, a shower, hand basin and flush toilet. Game viewing, cultural walks to the Maasai Village and sundowners are all part of the experience at Bologonya Under Canvas. 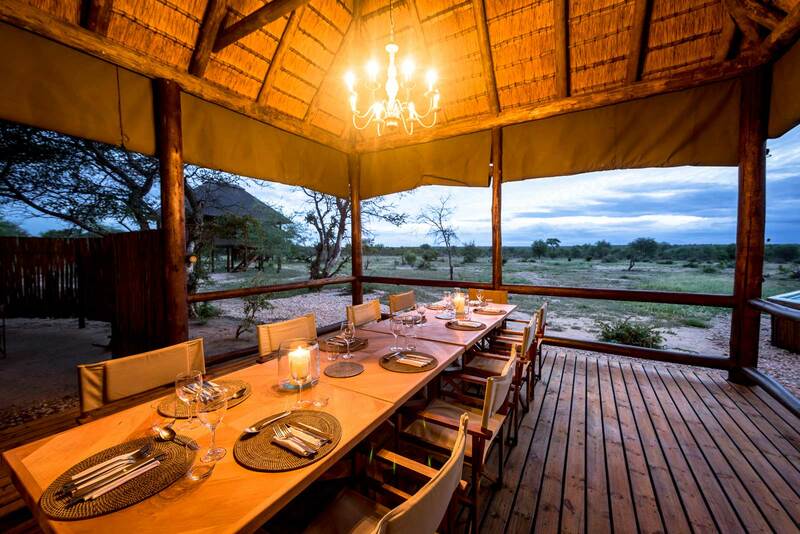 Eco Lodge Africa, an eco-friendly lodge situated in the Grumeti Game Reserve, offers the perfect opportunity for guests to experience Africa, as the lodge is in close proximity to the habitat and its wildlife residents. Grumeti Serengeti Tented Camp is situated in the private and remote Western Corridor of the Serengeti. Set on the banks of an oxbow lake, it is the perfect vantage point to watch the vast masses of the Great Migration making their dramatic river crossing. 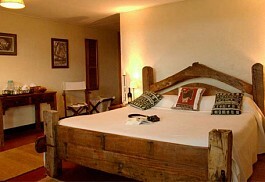 Serena Safari Lodge is a large lodge centrally located, adjacent to the famous Western Corridor and Grumeti River. It has been designed to blend completely into the living landscape. It is well located for the migration between December and May. Ndutu Safari Lodge is situated in the South-eastern part of the Serengeti ecosystem, close to the Ndutu Plains and is perfectly located for the wildebeest migration between November and May. Tucked well away from the busy tourist circuit. 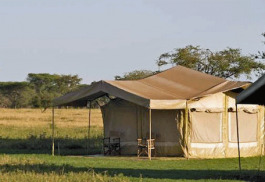 Serengeti Kati Kati Camp is a comfortable mobile tented camp situated in Central Serengeti, strategically located to cover the vast Serengeti plains. 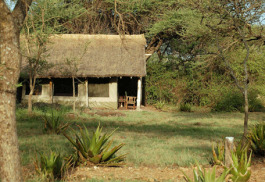 The camp is only a 2 hour scenic drive to Olduvai Gorge Museum and Grumeti River. About half-way between the Ngorogoro Crater rim and Ndutu, Olduvai Camp stands at the base of a kopje on the southern edge of the Serengeti. 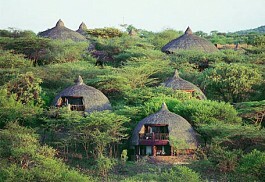 It's run by Masai and has 16 simple walk-in tents, built on concrete bases with thatched roofs. Harmoniously nestled into the heart of the Serengeti ecosystem, set high on the Gambasage hill overlooking the famous Grumeti River, Serengeti Simba Lodge is situated on the main path of the annual Great Migration of wildebeest and zebra. Ronjo Camp is a basic mobile tented camp located in the central Serengeti region close to the rather busy Seronera river area, but the exact location can vary every 6 months. 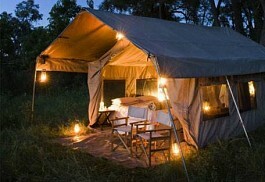 This is a simple set up with a central mess tent alongside a camp fire with deck chairs. Mbalageti Lodge stands on Mwamyeni Hill, overlooking the vast Dutwa Plain, in a quiet part of the Western Corridor of the Serengeti National Park. 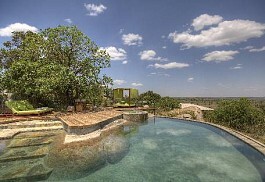 It has uninterrupted views of the Serengeti plains and is in an ideal position for the Migration. 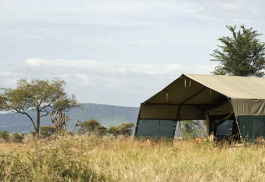 The camp is located in the Ngorongoro Conservation Area in Serengeti National Park. 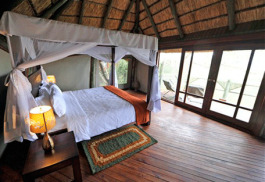 It consists of 20 tented chalets, each unit has its own private veranda which looks towards the lake. 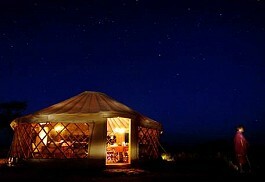 The tented chalets are large and furnished. Located in Kirawira area of the Grumeti corridor, on the west side of Serengeti National Park, Mbugani Serengeti provides guests with the rare experience of close contact with the world's greatest animal migration in the area. 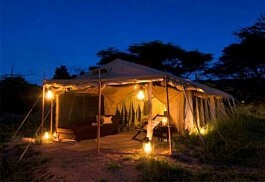 An exclusive mobile camp in the Lamai Wedge area of the far northern Serengeti National Park, Tanzania. A wildlife experience in one of the last true wilderness areas of Africa, we are the only camp on the northern side of the Mara River. .
Four Seasons Safari Lodge, previously known as Bilila Lodge is a 5 star property located in the Serengeti region of Tanzania. 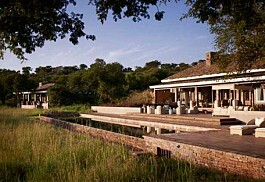 This luxurious lodge has a water hole adjacent at which guests can see numerous animals at all times of the day and night. Lake Natron Tented Camp has 9 tents with showers, comfortable beds and a veranda with guests own view of the incredible landscape. 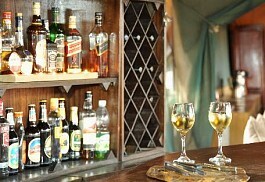 A fully stocked bar and restaurant ensure guests have a cold drink and good food at the end of the day. 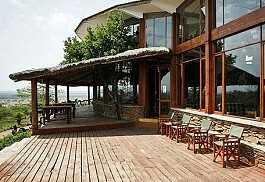 The lodge is located in the acacia woodland overlooking the plains of the south-western Serengeti National Park. 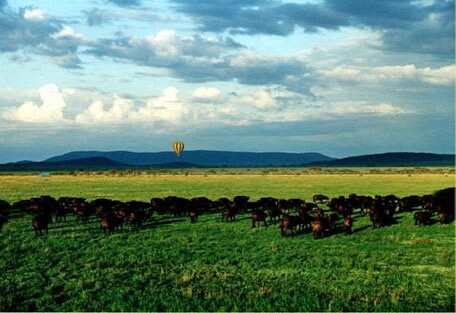 Serengeti is one of the most famous parks in the world, and hosts the largest annual migration of the wildebeest. 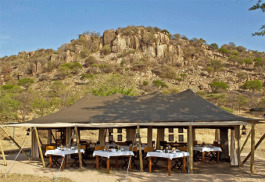 Set in the midst of an incredible scenery of savannah and skies, you find Ikoma Tented Camp, sheltered in a grove of acacia trees. Ikoma has 35 traditional Meru tents, each under thatch with a private veranda overlooking the impressive plains of the Serengeti. 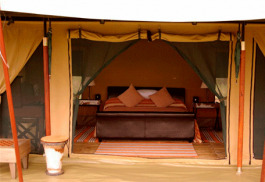 Serengeti Halisi Camp is an intimate camp situated in Serengeti National Park. 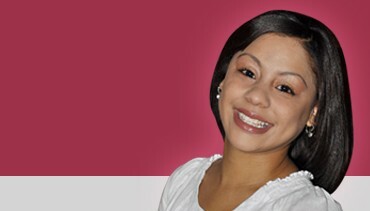 Halisi means authentic or real in Kiswahili language. 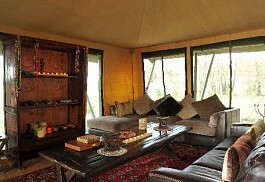 Mapito Tented Camp is a luxurious property in the Serengeti National Park. 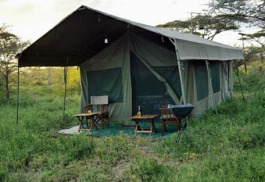 The camp provides spacious accommodation, each tent including its own veranda where guests can sit and enjoy views of the area. Buffalo Luxury Camp is a permanent tented lodge featuring 15 suite tents and 5 smaller chalet tents, as well as a main lodge for dining and relaxation. The property is situated only 4 kilometers from the Klein’s Ranger Post, the official entry point into the northern Serengeti. 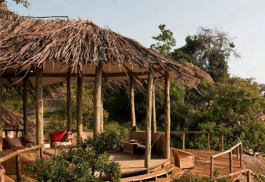 Wayo Green Camp is an eco-friendly camp which has been upgraded to be one of the environmentally friendly camps in Tanzania. 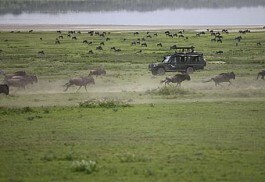 The camp moves four to five times a year with the Great Migration. Although outnumbered 8 to 1, the zebra join in the migration, maintaining their family units of about a dozen members, each with a dominant stallion. 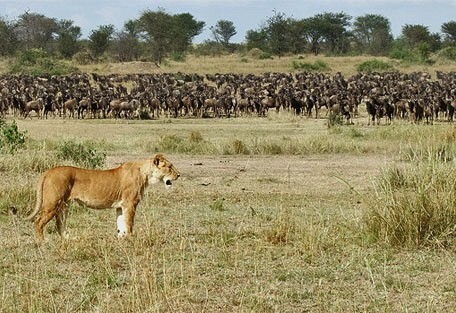 Lion, cheetah, hyena and African wild dog follow the wildebeest and zebra, making sure that only the fittest survive. In November, when the grazing is finished in the north, this army of animals surges back to the now green pastures of the south, where they calve and mate before starting the entire cycle again. Normally, the best time to see the animals here is during January and February. Heading north into the Park, the grass becomes noticeably longer, and it is usual to see Grant's and Thomson's gazelles, as well as the occasional small groups of topi and kongoni. Towards Seronera, the park headquarters, the landscape becomes more varied. Hills rise out of plains criss-crossed by small rivers. Umbrella acacia trees appear, elegant and serene, contrasting with the twisted commiphora trees. The main rainy season, or the 'long rains', lasts during March, April and May. Afternoon downpours are the norm, which are heavier and more predictable beside the coast and on the islands. The humidity is high and daily temperatures reach the low-mid 30s (degrees Celsius). The long dry season lasts from June to October, during which time the rainfall is unusual. Temperatures vary hugely with altitude and location, but it's usually a fine, clear sky and sunny weather. During November and December there's another rainy season, which is known as the 'short rains'. These are much lighter than the long rains and less reliable. If it has rained during the short rains, then it normally dries up for a few months in January and February, which is Tanzania's 'short dry season', before starting to rain again in earnest in March. The Serengeti National Park is such a popular destination and there are many quality lodges at which to stay, but we have narrowed it down to a couple we feel might be the most suitable to our guests' needs. 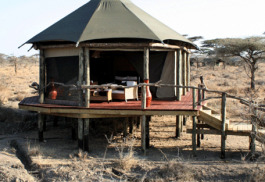 Pumzika Safari Camp has become a popular place for institutions to train upcoming tourist guides and hoteliers in the Lakezone Region in Tanzania. Accommodation is in 11 luxurious mobile tents in a tranquil environment where the sounds of birds and wildlife at night rejuvenate the mind, body and soul. 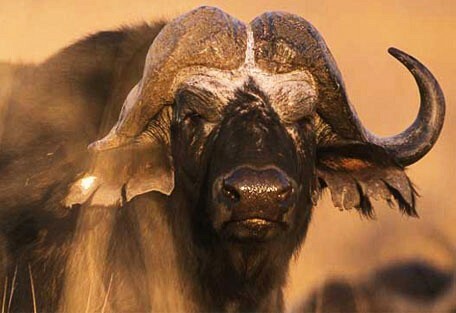 Buffalo Luxury Camp is situated in a vitally important area for the migratory patterns of the wildebeest and zebra. 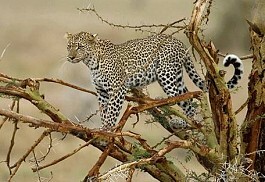 It is also the territory predators such as leopard and lion. Serengeti Mara Camp is in the perfect location for guests to bear witness to the annual wildebeest migration, which occurs from June to November in the Lamai Wedge of the Serengeti. 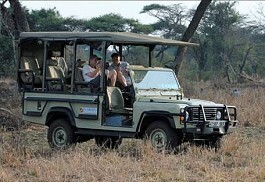 Safaris in Tanzania begin at Arusha, which is situated close to the northern safari locations. 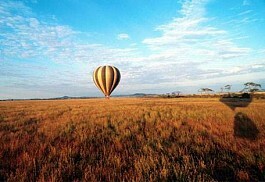 Sun Safaris will fly guests to Kilimanjaro International Airport, which is the primary receiving airport in Tanzania. This airport is only a few kilometres away from Arusha airport, which is the safari node of the country and where most light air transfers take off from. 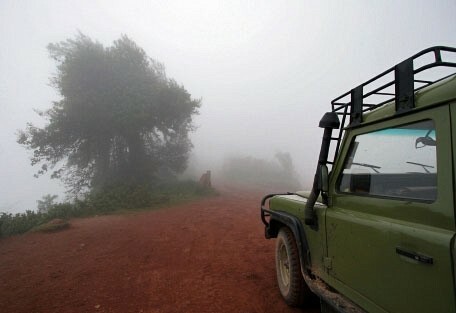 Once guests have landed at Kilimanjaro, they will connect with a road transfer that will take them to Arusha airport. 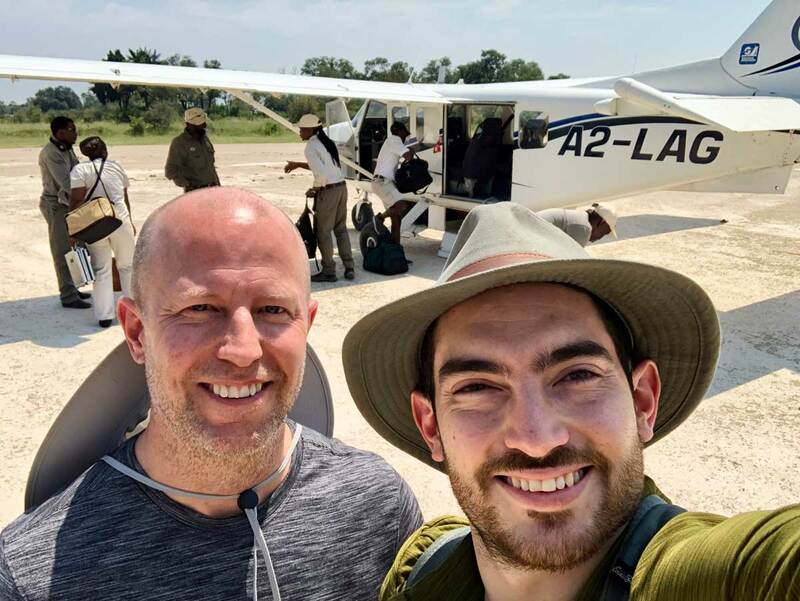 Depending on timing of guests' itinerary, they might spend a night in Arusha before heading off on a scheduled flight to an airstrip or airport nearer their safari destination. 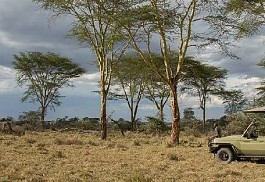 The Serengeti is the primary destination for northern circuit safaris and will almost always be included in an itinerary. 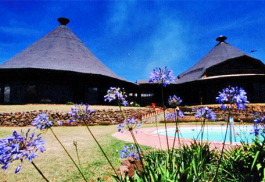 Guests will be flown in a light air charter to an airstrip near the lodge booked for them.